Is managing in a nonprofit organization (NPO) different than managing in the private sector? Is it different than managing in a governmental organization? If so, what is different? The major difference cited by the course participants was: not being able to use financial rewards (raises, bonuses, stock options, etc.) as an incentive for performance or as a reward for outstanding results. While that is true for most NPOs and is well understood by those working in the nonprofit sector, it makes me wonder if there are other significant differences – is managing simply managing or is it really different from one sector to another? What do you think? What is your experience? Inquiring minds would like to know. 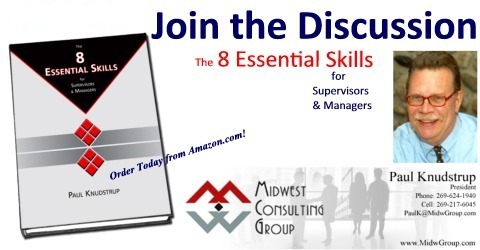 Order your copy of “The 8 Essential Skills for Supervisors & Managers” today at Amazon.com.